This model was manufactured from 1961 to 1963. Later examples like the one above have a larger meter cell window than the early examples as seen below. This picture of them taken together makes it easier to see the difference. I'm no fan of the Automatics, but this camera appears to be very well-made, and it fills a hole in the display cabinet nicely. The Automatic III was the top of the range at the time. 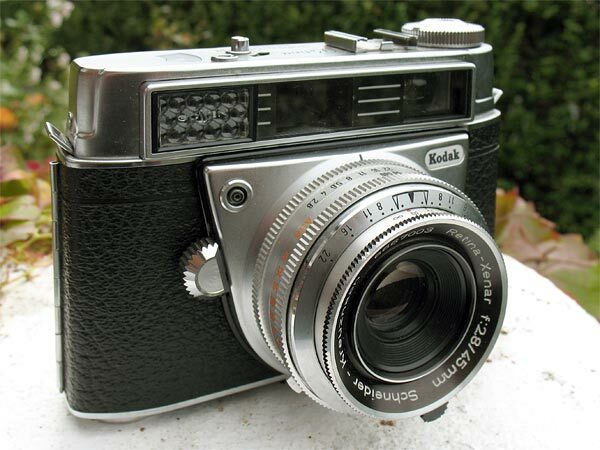 The camera was fitted with a 45mm f/2.8 Retina-Xenar lens in a Compur-Automat shutter, just like the Automatic II, a step-up from the lens /shutter combination fitted on the Automatic I. 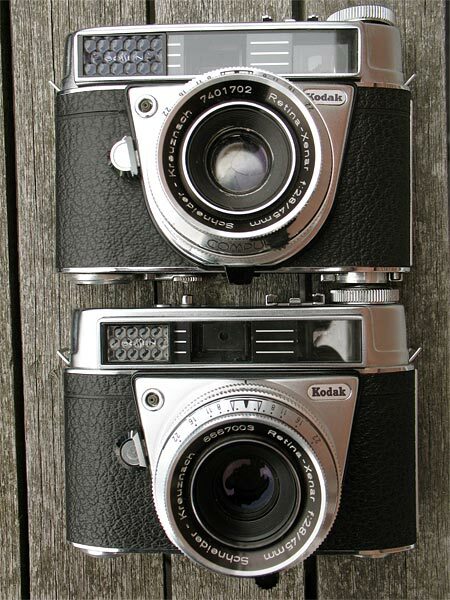 This camera has a coupled selenium exposure meter, and a rangefinder. 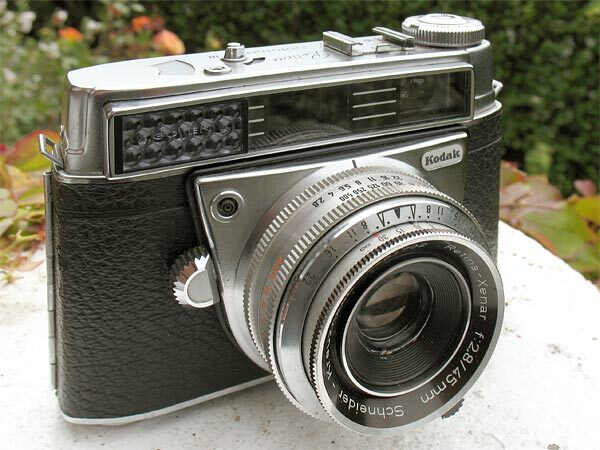 Retina Automatic III instruction manual on Mike Butkus' excellent website.